The GALS Board of Directors shall be nominated and elected by and from the general membership. 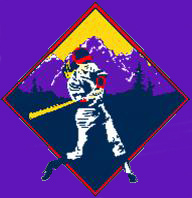 The membership shall consist of parents,grandparents, and guardians of team participants, officials, umpires,scorekeepers, and coaches of teams, and businesses, team sponsors,corporations, and individuals interested in promoting and furthering the aims and purposes of this organization in the community. The Board shall consist of no less than five (5) but no more than nine (9) voting members: President, Vice-President, Secretary/Treasurer, and at least two(2) Board Members-At-Large, up to a maximum of six (6) Board Members-At-Large. The Board shall always consist of an odd number of members. No one is eligible for either nomination or election to the Board of Directors unless they have been an active participant in league activities for two (2) playing seasons prior to their nomination or election. All officers of the Board of Directors must be residents of Caldwell. A majority of the Board of Directors shall always be residents of Caldwell. Officers shall be elected for two year terms. Officer's terms shall be staggered so there will always be a returning officer each year. All Board Members-At-Large shall be elected for one year terms. The Board of Directors are all volunteers from our community and deserve your support, assistance, and encouragement.